Is it a bird? Is it a plane? Wait, that was suppose to be “Is it a snake?” . 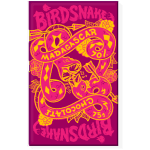 We’re delighted to share BirdSnake chocolate with you. We’re not sure whether this is a bird vs snake battle or a terrifying hybrid creature… but it doesn’t matter – holding this bar will set off your imagination. Opening it will reveal a bar that makes you feel like a superhero! 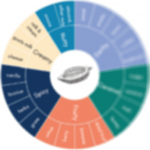 They’re one of the the most recent chocolate brands to launch in Australia – Chocolate maker / designer / manager and distributor, Freddie used to travel the world sourcing coffee beans where he was introduced to cacao and making chocolate. With a strong connection to the farmers and an understanding of their wages and problems BirdSnake is keen to promote high transparency with regards to who get’s paid what and how. They’re still refining their processes but it’s a great concept and we look forward to seeing this brand develop over the years. Birdsnake is the newest bean to bar chocolate maker in Australia right now. "Farm to your face" chocolate!